Like many avid golfers in Eugene, Oregon we spend a lot of time wandering and shopping at Fiddler’s Green, a famous golf shop just outside of Eugene, Oregon.During one of our visits in June 2008, Charlotte and I were making our latest and greatest golf purchases, when I pointed to the display of ball markers and mentioned that it would be cool to have photo ball markers. Char normally shakes off my ideas for products I think are cool but this time she surprised me with her response. She thought it would be a very good product for golfers and make for a wonderful golfing gift. 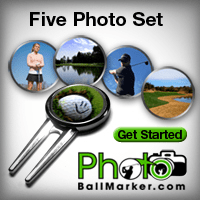 We checked on the internet and found a few sites offering photo ball markers but not the type of product or website experience we envisioned. We strived to create a quality and long lasting ball marker and combine it with a nice website experience. 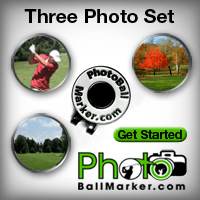 We worked hard over the summer perfecting our photo ball markers and building a website that is easy and fun to use. And this is the end result of our work. 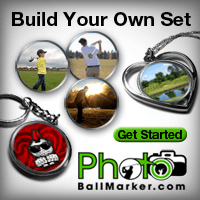 We hope you enjoy the website and order your set of photo ball markers soon.